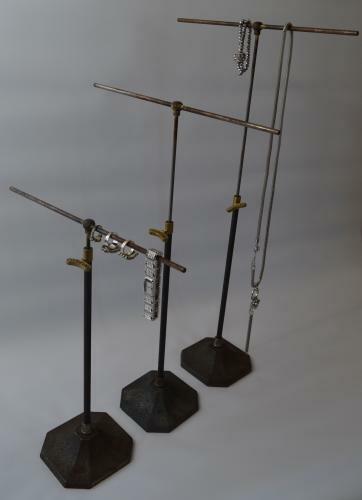 These are 3 lovely jewellery stands by All Saints. They are telescopic going from 36cm when fully down to 63cm fully extended. They have a very nice gilded turn screw saying All Saints to hold it in place. All in good working order. Price in per stand.